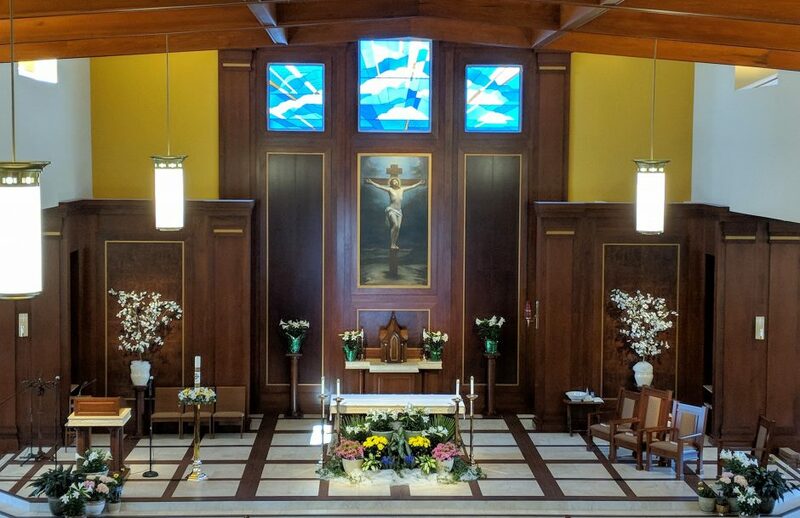 On Sunday, June 3rd Michael Collins took some photos of Father Frazier presiding at his last Mass as the active Pastor of St. Joseph’s (during his much-deserved retirement he is now our Pastor Emeritus). There is a picture at the reception as well. On Sunday, June 3rd, Fr. Frazier vests before his final Mass as the active Pastor of St. Joseph's.